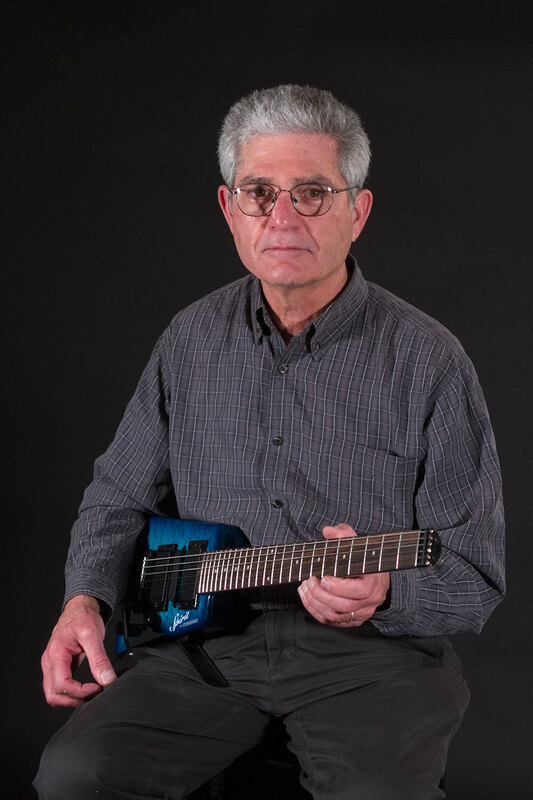 To celebrate the new Steinberger Spirit Collection, Steinberger founder and inventor Ned Steinberger dropped by the company headquarters in Nashville, TN to reminisce about the creation of his groundbreaking basses and guitars, which continue to inspire musicians and designers around the world. As Ned toured the showroom, warehouse, and design center, he clearly enjoyed speaking with the R&D team—Richard Akers and Scott Harrison—about refinements and suggestions for current Steinberger instruments. For players who are just discovering Steinberger, it's difficult to impress just how new and different these guitars and basses looked in 1979 when they first entered the marketplace. An incredibly wide range of musicians including Lou Reed, Tina Weymouth of the Talking Heads, blues legend Johnny Winter, studio bassist and King Crimson alumni Tony Levin, and Eddie Van Halen embraced the first generation of Steinbergers. And there's no doubt that a new generation of players will take up the Spirit Collection, too. The initial 'big bang' of solid body instrument design took place in the late 1940s, the result of a collaborative—and competitive—friendship between Leo Fender, Les Paul, Paul Bigsby, and guitarist and songwriter Merle Travis. But for the next 30 years until the arrival of Steinberger, popular instrument design remained largely static. Today, Ned's innovations and his instruments continue to inspire new ideas. And he's still at it! 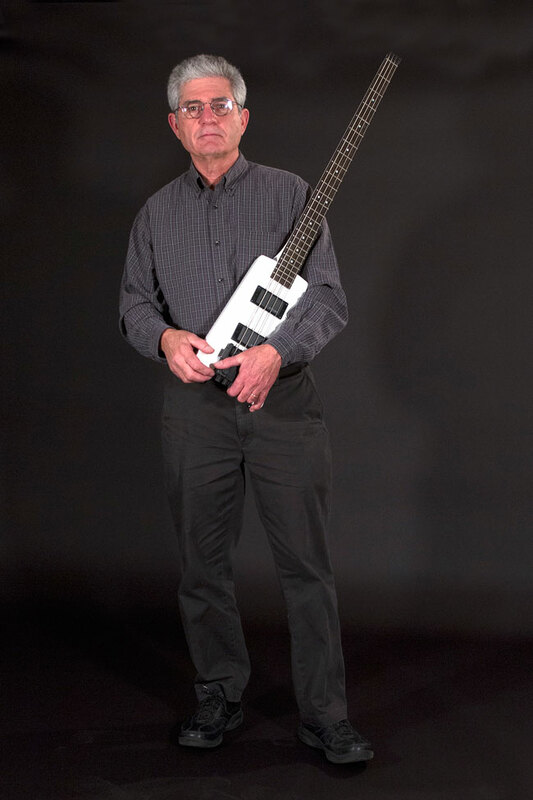 During our conversation, Ned used the new XT-2DB Bass Outfit to illustrate the simplicity and practicality of the Steinberger design, its influence on a generation of instrument makers, and of course, his plans for the future with his latest endeavor, NS Designs. What initially sparked your interest in making your own instrument design? Well, this XT-2DB Bass is similar to the instrument that I developed in 1977 when I first got the idea of headless bass. And of course the reason for this was very simple. Basses tend to be heavy. A typical bass has a headstock, heavy hardware, and a long neck, so a bass tends to have a neck dive. I got into making basses after I already had a career in furniture design. For me, one of the first things I focused on when I got into musical instrument design was making the instrument comfortable to play, making ergonomics work for the player so the instrument and the body are in sync and so the musician is not being bothered by anything. In other words, I'm not a musician myself, but I imagined being on stage and performing and trying to optimize my performance. The last thing I want to be doing is worrying about the instrument or feeling uncomfortable or having shoulder pain. So, getting the instrument to be comfortable was a top priority for me. And no matter what, I couldn't get the bass to balance right with a headstock. It was always neck heavy. I struggled with that. I even tried putting weights on the other end of the body to compensate but the big breakthrough moment for me was when I realized that you didn't have to put the tuning machines up there. You could put the tuning machines on the body. Those balance problems were then completely solved. Then you had an instrument that balances extremely well as long as you get that heavy tuning machine on the right end of the body. I think most musicians would never think to ask fundamental questions about guitar design or even seek out an alternative. Why have basses been always made with headstocks? Well, there's a tradition in musical instrument making that you tune at the headstock and that's because instruments were acoustic instruments. If you have a soundboard and you're generating your sound from the top acoustically—driving that top—you can't have heavy hardware on it. It's got to be super light. So those tuning machines had to be up at the head end. In terms of the way I think about my work, I think: why does something have to be a certain way? Why is tradition the way that it is? It's important to respect tradition but do we want to be bound by it, or can we learn from history? Can we understand new technologies and how they impact design? They didn't have solid body basses way back when but we do now, and we can do different things than people could do in the past. So, the headless part of it has been the driving force in my career and what has really motivated me to develop this headless concept is that I believe it's beneficial to musicians. If you're feeling good, if you're feeling comfortable, this is going to lead to better music as I see it. Was the development process difficult at first? It was a long development process to get the instrument to this point. In particular, the tuner was a big point of development. I started out with conventional worm gear tuners. I kind of had a head sticking out of the back of the body. But this Direct Pull 40:1 ratio tuner is more suited for a headless instrument and gives you super precise tuning and is very compact. Making the instrument compact was something I wanted to do, too, because it seemed much more practical. Anything that wasn't doing something useful that could be refined to the point where it was less bulky, lighter weight, and more streamlined, that's what I was focused on. So, I developed this straight pull tuner system. This instrument—the XT-2DB—has a feature on it that I developed later on, which is a D-tuner. You just flip this lever from E down to D or even quite a bit lower if you want. These instruments also have the double-ball end strings. Originally I had set screws I used at the head here. Which are fine but these double ball strings come on and off in an instant and provide incredible tuning stability. These instruments stay in tune like no conventional instrument is able to do. Another feature of this instrument is the leg rest. When I first designed the instrument, comfort and versatility was a big part of my focus. If it's comfortable standing up but not sitting down, your job is not done. The original leg rest was snap-on. But the problem with a snap-on leg rest is you might get to the gig and not have a leg rest. So this one is permanently on there. That's the story of the instrument and what it's all about. 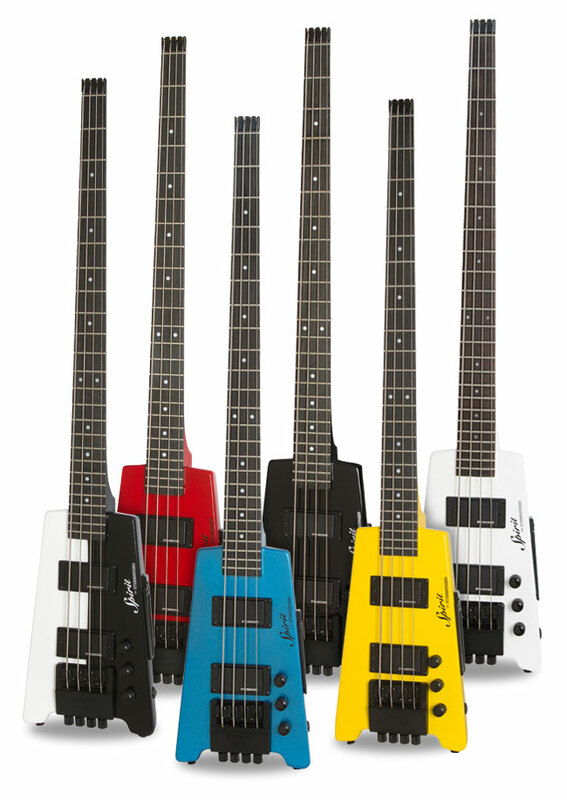 What were some of the challenges moving from designing a bass guitar to an electric guitar? It was a very exciting transition for me to go from bass to guitar. I realized the headless concept is well suited for guitar because it balances extremely well and it becomes a package that is so incredibly compact and efficient that for me—as a designer who is naturally drawn towards refining the design towards a goal—my goal was to get rid of anything superfluous. I wanted to bring the solid body guitar down to its basic form—what it really needed to be. So many modern guitars are influenced by designs that go back hundreds of years. I wanted to know: what could it be today? How could it be made more efficiently? Moving the tuners from the head to the body gives you an instrument that is incredibly compact. As a travel guitar, I don't think you can beat it. This is a full-scale guitar. I'll tell you a funny story. When I first made my prototype, I made it with a 25" scale—standard scale is 25.5". So I took my prototype to some musicians and they said, 'Man, I really love it, but I'd love a full scale and the frets are a little too close together.' So I thought, geez, another 1/2" inch...ok. So I had to do quite a bit of re-tooling to get everything adjusted. I was all excited about that. I brought the instrument to some more musicians and they said the same thing—I think you should have a full-size scale. But now it is a full-length scale! But because of the look, they felt that it was smaller. It has a small look to it but it's full size. And this tremolo is locking, which makes it much easier to tune. You must be glad to see the new Spirit Collection. I am. I put a lot of heart and soul into developing these instruments. I believe in headless design. I'm not against a guitar with a headstock or anything like that. I believe very strongly in headless guitars and basses. To see Steinberger back and more available is very satisfying to me. 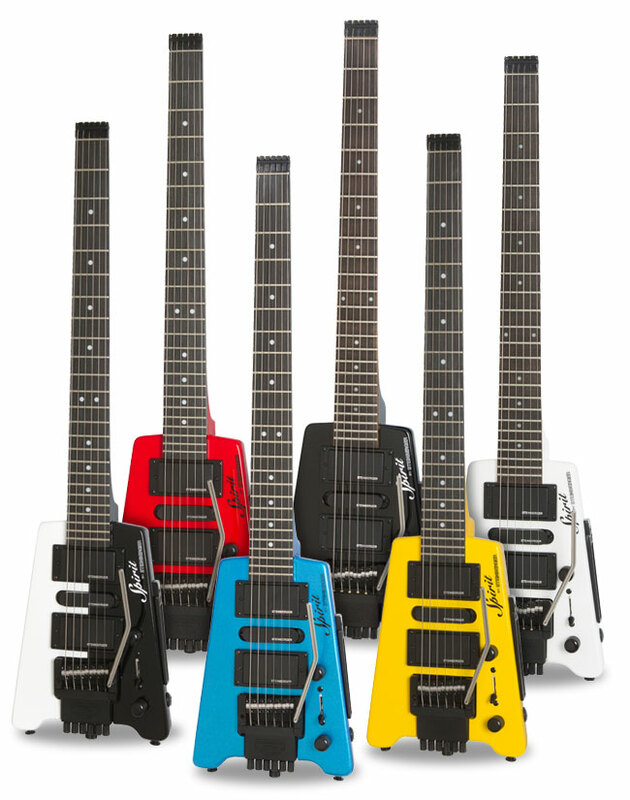 Was there a particular artist that helped break Steinberger into the marketplace? A big moment came when we went to the NAMM show in 1980 and we had made a half dozen basses and pretty much everybody felt we were a joke. Headless instruments made out of plastic? Back in those days at the NAMM show there was one really big event. It was in Chicago at the art museum there. The band was the Dixie Dregs and Andy West—God bless him—he walked out with a Steinberger bass. I don't know where he got it. And he's a crankin' bass player. He was just really goin' at it. The next day, the booth was completely mobbed. Of course it was Sunday—the last day (laughs). That was a lesson for me on how important artists are. We were lucky, too. People in the 80s were much more into innovation then. And the idea of hi-tech—people were attracted to that. In the late 80s, it shifted back again to a vintage mentality. The next generation of this kind instrument is what I'm focused on now and I hope one day soon to be sitting here with you guys with a brand new high-end model. What first sparked your interest in design and invention? When I was 12 years old my father taught me a little bit about woodworking. I saved all my money and bought tools and I always designed things and figured stuff out for myself—that's what I liked to do. I had no idea it would lead to a career. That was the furthest thing from my mind. I was just a kid. I was largely self-taught because I really liked to make things. Making them is fun but for me it's even more fun to figure out how to make it. And I got very lucky. You probably know the story. Stuart Spector (founder of Spector Basses for whom Ned designed the iconic NS Bass) and I ended up in a co-op together, a wood working co-op. And that's how I got involved in musical instruments. I got lucky. Very lucky. 'Cause, what could you do that would be more fun than making a musical instrument. Except maybe playing it (laughs).